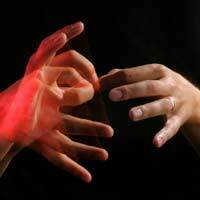 Though most commonly known as a means of communication used by those with hearing loss, sign language is also utilised by individuals with speech difficulties and disorders that leave them unable to communicate verbally. To date sign language has become a relatively accepted method of communication within the general population, but there are many aspects that are not as well known. Below are some basic answers to frequently asked questions about sign language and speech disorders. Sign language is a mode of communicating that uses hand signs to convey meaning. Often sign language is described as “talking with the hands”, and many people refer to being able to “speak” through sign language. Facial expressions, finger spellings, and shoulder movements also comprise methods of communicating via sign language. Why Would Sign Language be Used by Those with Speech Disorders? Some speech disorders are so extensive, such as is sometimes the case with aphasia, that verbal communication is no longer an option. When an individual cannot speak, he or she still needs a method of communicating and if he or she is able to understand language and control the muscles of his or her hands then learning sign language may be a good option. Learning sign language means that an individual can still remain fluent in his or her language communications, and does not require him or her to transport props such as charts or computer programmes, in order to be understood. Sign language is also relatively common throughout the United Kingdom, so others may be able to understand sign language much more readily than a means of communication devised specifically for the individual. What Type of Sign Language is Used in the United Kingdom? There are many types of sign language used in the United Kingdom. British Sign Language (BSL) is probably the most widely recognised type of sign language with about 50,000 people employing it as their first language. Signed Support English (SSE) is also relatively widely used, though this is not so much a distinct language as a means of using English with signs as well. In Northern Ireland, Irish Sign Language (ISL) may also be used in conjunction with British Sign Language (BSL). Are there Regional Differences in Sign Language? Yes. Much as different regions of the United Kingdom have different spoken accents, so too are there regional variations in sign language. Depending on the location, different signs may be used for different words or there may be many options for signing the same word. Is It Hard to Learn Sign Language? The difficulties experienced in learning sign language will be unique to each student. Many students report weariness in their hands and fingers as a common result of learning sign language. Those who already have a fluency in language however often have an easier time learning sign language than those who had no previous language fluency. How Can Individuals with Speech Disorders Investigate Sign Language? Individuals with diagnosed speech disorders should consult their speech therapist or pathologist for further information about the possibility of learning sign language. Further information may also be obtained from an organisation dedicated to speech difficulties, such as Talking Point (www.talkingpoint.org.uk), or from an organisation dedicated to deafness and hearing loss, such as the Royal National Institute for the Deaf (RNID) (www.rnid.org.uk).